LLG Cultural Development Centre is highly concerned about the announcement by the Education Minister Tan Sri Muhyiddin in mid July that the ministry was readying a study on a complete revamp of the existing education system. The report is to be submitted to the cabinet for approval end of this year. Education reform is of paramount importance. Any country proposing to review its national education system as a whole, will inevitably have to study thoroughly the shortcomings of the current education system, and to consult the opinions of various stake holders in relation to education reform. We urge the Education Ministry and Ministry of Higher Education to make public details of the proposed education reforms such as the guiding thoughts, principles, objectives, strategies and implementation in the course of undertaking such reforms. The proposed reforms must be carried out in a transparent manner, allowing people and education organizations to take part in the process. This is to ensure that the true spirit of democracy will prevail, particularly in this area of utmost importance to all the people. We hold the view that the government should set up a national education reform consultative council, comprising representatives from various education organizations. These representatives should be involved in the process of brainstorming, idea contribution, planning, implementation and monitoring of the education reforms. Firstly, Democracy in education decision-making The government should reform the highly centralized decision-making process in the education system. The government should also dismantle policies which prohibit strictly certain education providers, particularly those providing vernacular education from acting as education providers. In fact, the government ought to decentralize its educational decision-making power to the state governments, municipal governments and even down to the community, allowing the community people to participate and voice out in the planning of education. If the people have decided to increase the numbers of Chinese schools, Tamil schools, national schools or any other linguistic schools in their community, the respective governments must seriously consider to implement the proposal. In short, the government should not suppress primary, secondary and higher education provided in the various mother tongues as medium of instruction. In fact, the Federal Government should provide educational resource to support these efforts. Secondly, Equitable Provision of Education Resources. The government must recognize the equal status of all schools by ensuring the fair and equal distribution of education resource for all the schools. If the government maintains the discriminative education policy and subject tax-payers who send their children to Chinese schools and Tamil schools to unfair treatment, the education reform will lose its progressive meaning and is a contradiction to the concept of “people first” as advocated by the Prime Minister. To ensure equality, we propose the adoption of an Education Equality Act that stipulates clearly that the government must treat all schools fairly. To us, this act is an important cornerstone of any education reforms. Thirdly, Academic Independence. The most worrying issue for higher education in Malaysia is the lack of academic independence. The Vice Chancellors of universities are taking orders from politicians, as witnessed by the recent parking of riot police trucks in university campuses, something that would be taboo in countries that observe strictly the principle of university autonomy. The universities and politicians have been working hand-in-hand to manipulate campus elections. Academicians with critical thinking have been sidelined and denied promotions by the authorities. The promotion of academicians is not based on merit but nepotism and ethnic identity. The University and University Colleges Act suppresses the freedom of thought and movement of students, nurturing graduates who follow uncritically the thoughts and ideas propagated by state elites. The education reform must abolish all these problems if higher education is to be intellectually strong, creative and vibrant. Fourthly, Elimination of Racism. We are extremely worried about the escalating racist mindset in university campuses and schools. 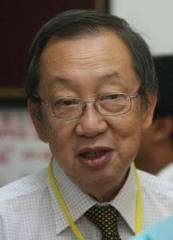 For instance the indoctrination of racist thinking by the Biro Tata Negara, the use of history text books that have been severely distorted and imbalanced, the adoption of the Bahasa Malaysia text book Interlok that instills the idea of Malay supremacy and the hiring of teaching staff who insult students with racist statements, and the like are some such examples. The government must dissolve Biro Tata Negara, abolish all practices that promote racism and to seriously punish teaching staff who make racist statements.